Our design reflects our belief in using the right tool for the job. 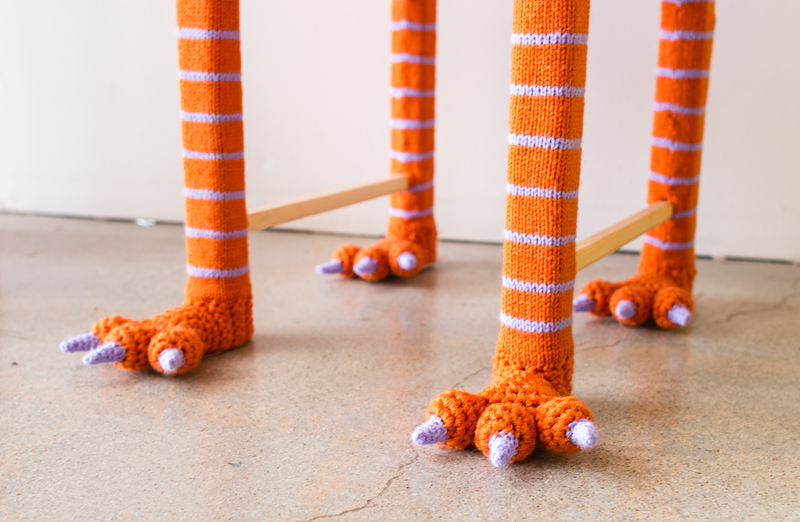 This means that to construct a more sculptural element like feet or teeth, we hand crochet. To construct a crisp, flat panel, we knit on one of our vintage knitting machines, which we hand operate much like a loom. We design each element according to precise measurements based on hand made swatches using the perfect yarn and color from our huge palette. Finally, we painstakingly seam each element together on the chair with one of two different hand stitching methods to achieve an invisible seam. 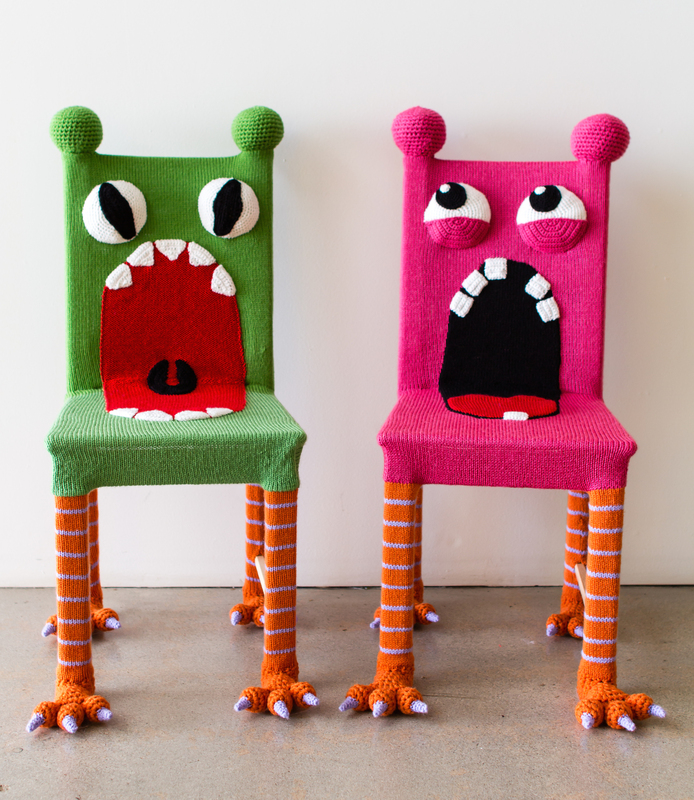 We are so excited to learn the story of the pink monster chair’s new life. A local musician of Haute Harpists needed a perk for the arduous task of learning the harp-intensive score for Peter Pan the musical. 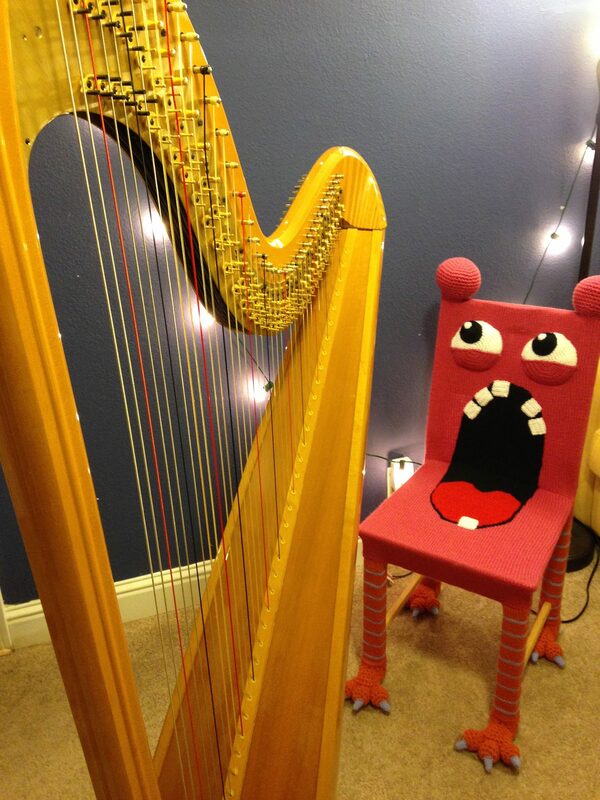 Now she’s thrilled to sit at her harp to practice. We dare say this buttmunch is in awe of her instrument and its new life! 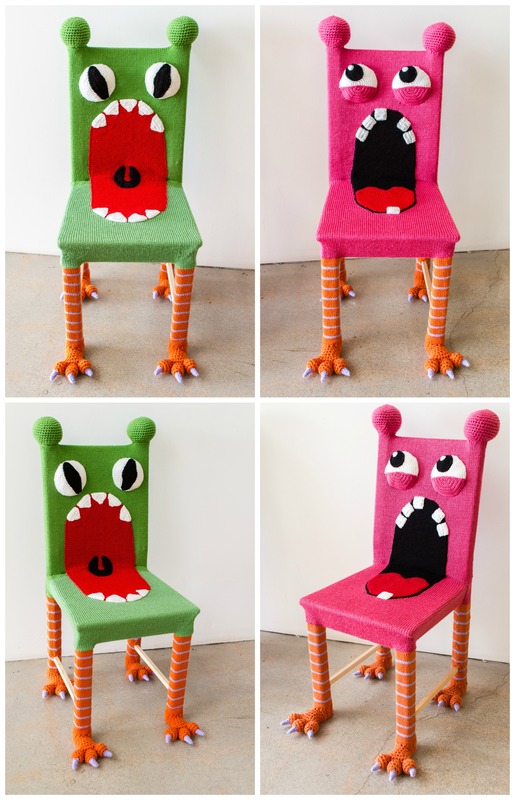 Get your own Buttmunch chair here or contact us with your custom idea. 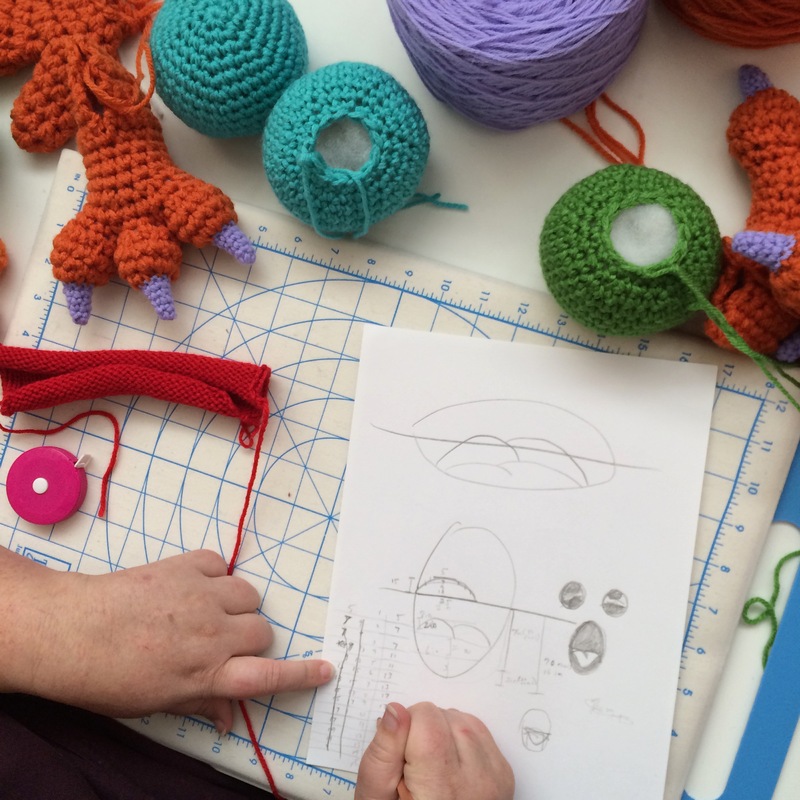 And remember to keep up with us on Periscope and Snapchat at username KnitsForLife.